I’ve been having jaw pain. I did some research to find out what it could be and all the online articles point to TMJ. They also say it can require surgery to fix. I’m only 25 but am completely on my own financially. I don’t think there is any way I can afford surgery. Are there other options? Can they give you a med that allows you time to save up for surgery? We’re jumping the gun here a bit. The first thing you’d want to do is see a dentist to see if you are suffering from TMJ Disorder. Even if you are, surgery isn’t generally the first go to. Your TMJ Dentist will look for the cause of the TMJ pain first, before outlining any treatment plan. As you can see from the chart above, there are many reasons why you could be in pain. Sometimes it is something other than the joint itself. For instance, your bite could be out of alignment and starting to wear down the temporomandibular joint. If that’s the case, your dentist will decide if you need a temporary orthotic to shift your bite and align it into proper positioning, or if you need some additional dental work like a dental implant or porcelain crown. Only in very rare cases is anything like a full-mouth reconstruction or surgery necessary. To ensure you get the proper treatment, you need to make sure you are going to an experienced TMJ Dentist. There isn’t a recognized TMJ Specialty, so it is up to the patient to find out what type of qualifications their dentist has to give them the right treatment. Don’t hesitate to ask your dentist what type of TMJ training they have. Dental school isn’t enough. It must be post-doctoral work. I’m going to suggest you click here to look at Dr. Burba’s TMJ Dentist page in order to know what type of training you should look for. Bear in mind, a good dentist will recommend the least invasive treatment for this type of situation first. I kept breaking teeth when I ate. My dentist said it was because of my bite and suggested I crown every tooth so he could fix it. That was 50K+ so I expected decent results. Instead, I have several broken crowns. Now, my dentist is blaming my habits for breaking my teeth. He said I’m grinding my teeth at night and need to wear a night guard and something else during the day. I’m having trouble buying this for two reasons. First, because he originally said the cause was something else but when his repair didn’t work he’s now suddenly coming up with a bad habit that’s my fault. And this is the first time I’ve heard of this so-called habit. Second, because I break my teeth when I eat and not when I sleep. Do you have a recommendation? I understand why you’re concerned. It doesn’t sound like your dentist really knows what he’s doing with this. After spending over $50,000 dollars, you have a right to be frustrated. I have two suggestions for you. First, I want you to get a second opinion. However, I don’t want you to get it from any dentist. Instead, I want you to find a TMJ Dentist. While there isn’t a TMJ Specialty, there are dentists who’ve invested more time in studying the causes and treatments. You want a dentist who’s invested the time doing that post-doctoral. For instance, Dr. Burba studied at both the Dawson Academy and Spear Institute. 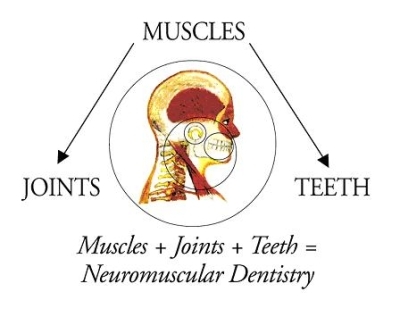 Both are well known for their TMJ and neuromuscular training. Another great school for that is the Las Vegas Institute (LVI). The reason I want you to see a TMJ dentist is due to the crowns you’ve had placed. What your dentist did is known as a full-mouth reconstruction. It takes expert level knowledge in occlusion to do this correctly or you could end up with serious problems with your bite. I don’t have the confidence your dentist has done this training. The second thing I’m going to recommend is you follow through with his suggestion of a mouth guard. While he didn’t run any tests or talk about evidence of teeth grinding before this problem, a night guard is not a bad idea. Though, I doubt you’ll need one during the day. The reason I say that is because people who grind their teeth at night don’t realize they’re doing it. Teeth grinding causes a bunch of problems. Not only can it lead to TMJ Disorder, but it can also cause you to crack or break your teeth. I realize when your teeth break is during meals, however, that doesn’t mean they’re not being weakened by the habit. One other thing. If you do grind your teeth and there was evidence of that, but your dentist didn’t mention it until now, that is severe negligence on his part. If that’s the case, I think you need a new dentist. I got a new crown a few weeks ago. It hits my other teeth funny, which makes it hurt every time I bite. I went to my dentist. He looked at it and said it’s fine and to give it time. I have given it time and it’s still hurting. What do I do? “Give it time.” That’s dentist speak for, “I don’t know how to fix this.” Here’s what needs to happen. This crown needs to be adjusted. It’s likely the crown is just too high. When you bite down, the other teeth are hitting the crown before it meshes. The pain you’re experiencing is just part of the deal. If this isn’t adjusted, it can do damage to your bite. Fortunately, there are things your dentist can be doing to deal with this. First, he needs to determine if the crown problem is simply it is sitting too high. If so, a simple adjustment can fix everything. If that doesn’t work, there is a next step. He can have you bite down on a bite registration paper. Where it registers the bite too high he can make some adjustments. Of course, dentists with advanced training wouldn’t have this problem to begin with. If they did, they’d fix it with a properly made crown. The key this time is to get you out of pain and make sure your bite doesn’t get damaged. The last thing you want is TMJ Disorder. What Type of Dentist Can Treat TMJ? I’m drowning in medical bills right now and don’t think I can afford a dentist. But, my jaw has locked up. My sister says TMJ does that and that I need an oral device to help. All I know is I can’t even eat. I’ve heard you can use an oral mouthguard to treat TMJ. I saw one at the pharmacy the other day and it was only about $20. I can afford that much. Is there anything I need to know about using it? Your sister is right on both points. Lock-jaw is often caused by TMJ Disorder. While, the orthotic anterior repositioning splint can be used to treat TMJ, that’s not what you saw at the store. A mouthguard is completely different. They’re used to protect people’s teeth from habitual tooth grinding. If that’s an issue you struggle with, you’ll want a mouthguard after you finish your TMJ treatment. However, the store bought ones aren’t custom fit. They just come in small, medium, or large. You can also find a one size fits all. They’re okay on a temporary basis, but you’ll grind through them rather quickly. One made by your dentist will be more effective. I know your TMJ is the focus right now, but if you don’t protect your teeth from the grinding there are serious consequences. Not only does the grinding aggravate your TMJ, but it can lead to cracked teeth or even teeth coming loose and needing to be replaced. Best case scenario, they end up ground down to nubs and all need to be crowned. Talk about expensive! But, back to your current issue. Here’s what I’d like you to do in the immediate so we can try to get the swelling down and get you eating again. I’d like you to take 800 mg. of ibuprofen about three times a day. In addition, you need to alternate heat and ice packs. Wear them for about ten minutes at a time, a few times a day as you’re able. You will need to see a dentist to get the appropriate treatment. I know you’re buried in medical bills right now. Many dentists are compassionate and would be willing to work with you on payments so you can get the treatment you need right away and pay it out later. Even if you can’t find one willing to work you, Care Credit is a fantastic option. It’s a medical “credit card”, but they let you choose your terms.